Welcome to the homepage of my blog. 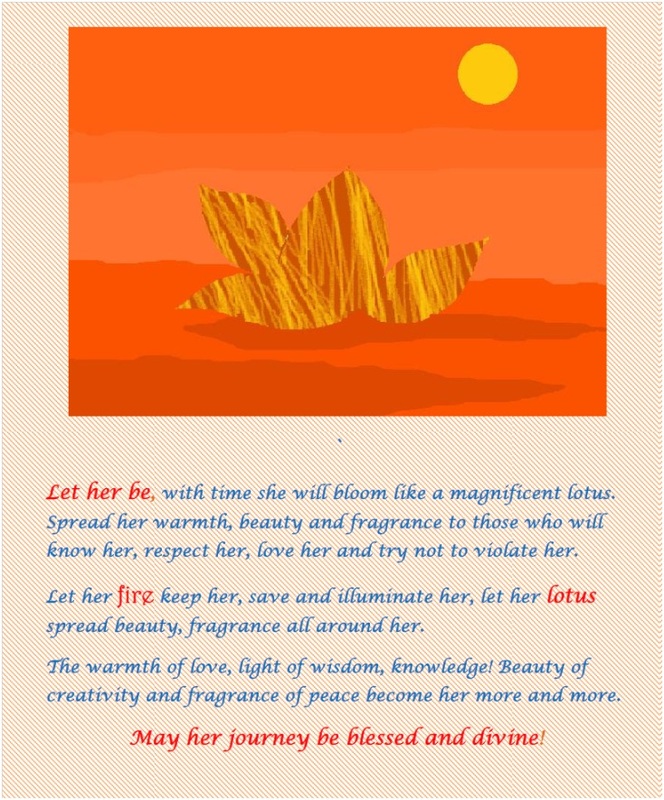 It is a static page, sort of Notice-board, to check out what is going on inside the blog you will have to follow it and keep an eye on your reading list or email alerts. 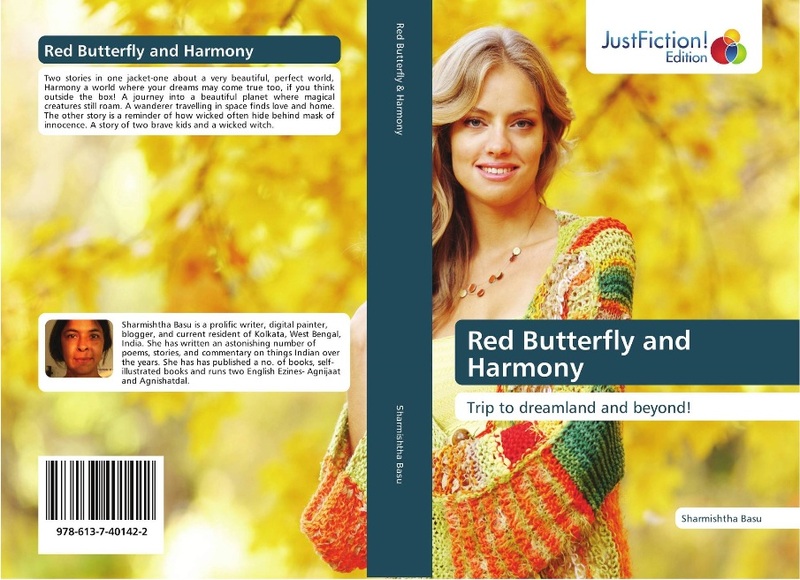 Finally I can merrily say that I am traditionally published, Justfiction-edition.com approved my stories The red butterfly and Harmony and published them as a single book “Red Butterfly and Harmony”. 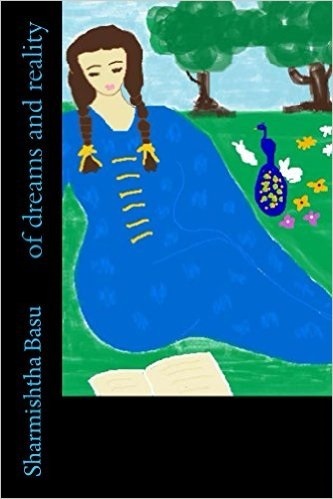 Two stories in one jacket-one about a very beautiful, perfect world, Harmony a world where your dreams may come true too, if you think outside the box! 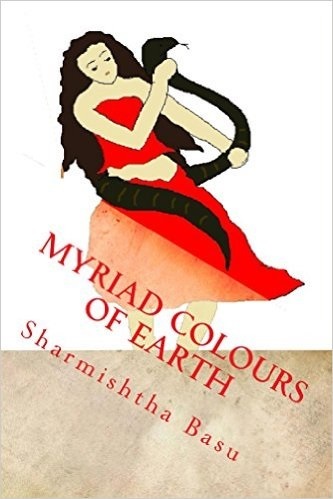 A journey into a beautiful planet where magical creatures still roam. A wanderer travelling in space finds love and home. The other story is a reminder of how wicked often hide behind mask of innocence. A story of two brave kids and a wicked witch. 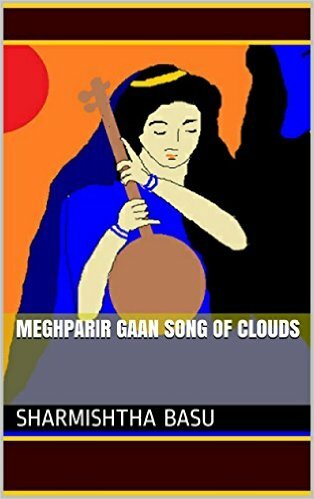 Apart from that I am a self-published author, I have published my works in amazon from 2014 and since then I am regularly publishing my works there- writings and illustrations. But I am removing majority of my illustrations to my own bookstore in shoptly because I have much more liberty of creation there. 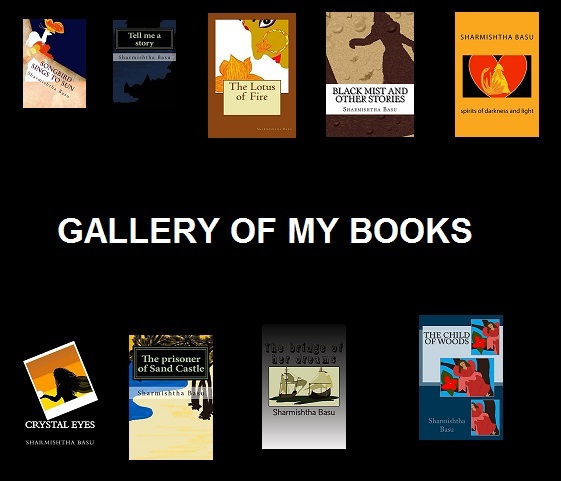 You can find my works via my amazon author profile and check out their details in my wordpress blog dedicated to them. I created a profile in Patreon in 2017. If you become my patron there I will love to offer you these little gifts as a token of my gratitude, I will make them worthy of your generous contribution! If you think otherwise you know where to contact and suggest me! 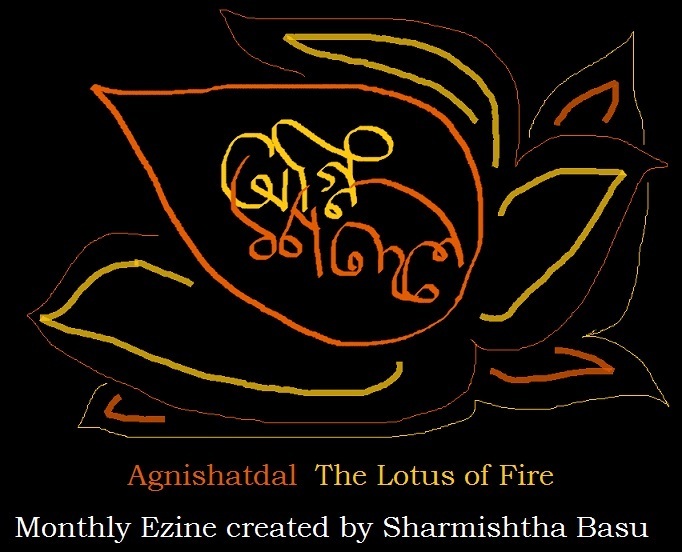 If you pledge $5 per month Agnijaat, Agnishatdal, Agnimalya, Sharmishtha Basu’s Paint and Brush and glimpses of my upcoming books in form of another mini book every month. There are more but check out my Patreon profile to get the full details! I have also created a Paypal account and started selling my works as pdf files independently and via shoptly-my book/artworks store. 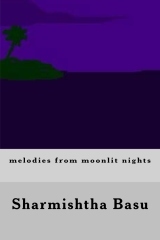 Many of these books are heavily illustrated, some are just writings. In future I may add a few artworks books. 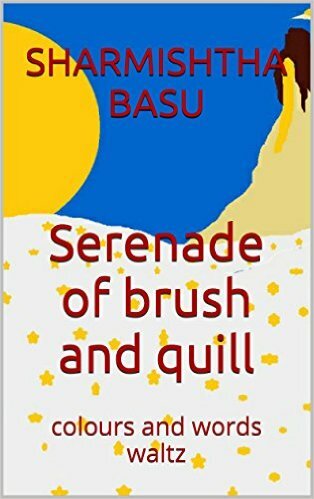 After all painting is as big an obsession as writing of mine! 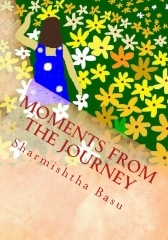 You can buy the pdf files from shoptly.com and to check out their contents before buying (or check out the upcoming book announcement etc) visit agnijashatadalama). 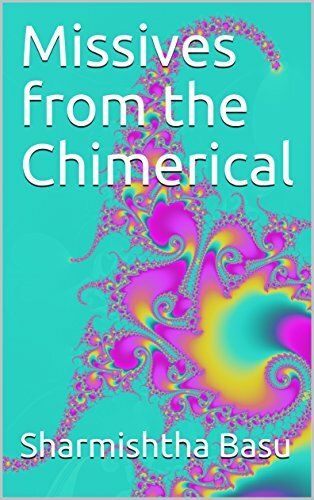 After you select a book you can directly buy it from Amazon, Shoptly or via paypal or become my patron in patreon and get your books via patreon. Go ahead and make my day! Last but not least, sold my (above painting) first artwork in January 2019. Quite a surprise joy for me!